There are many incredible places in the world where the ocean is calm, with warm turquoise waters, an abundant array of marine species, set amongst beautiful surroundings. And luckily for us, the Gili Islands tick all theses boxes. 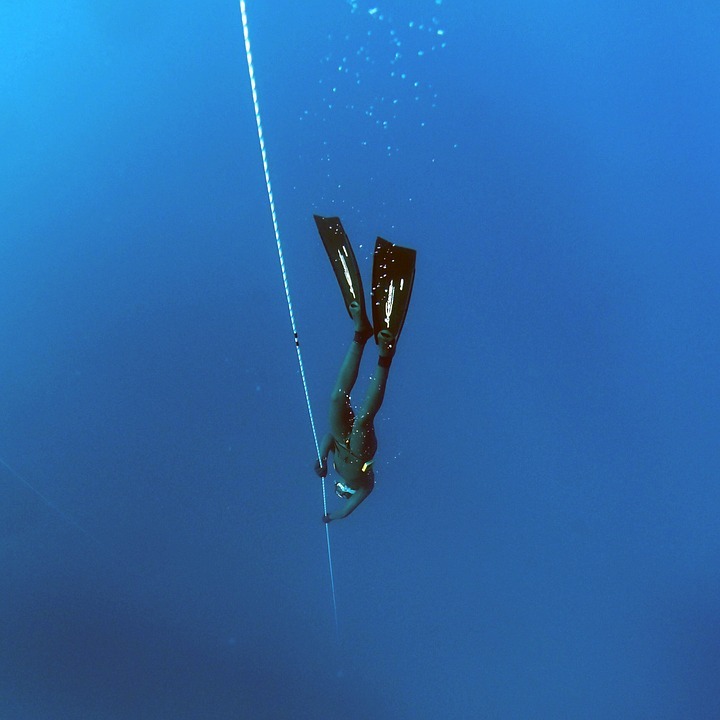 Freediving can be a challenging endeavour, especially in the beginning. But we believe that this is one of the benefits...by overcoming these challenges we receive a great sense of reward and achievement!! Having the correct environment in which to learn can impact your experience greatly, and we at Freedive Blue Marine Gili Air, believe that we have all of the elements to make for the perfect freediving conditions. Most of the year we have flat surface conditions, the ocean surface at these times can often be compared to a sheet of glass. Your relaxation phase (calm, slow breathing prior to freediving) is much easier during these times. And even outside of these months we often have much calmer surface conditions than can be found in many other freediving locations. Water temperatures on the Gili Islands range from 27 to 30 degrees throughout the year. During courses we still offer wetsuits to ensure your comfort and protection from the sun, but for most people a simple swimsuit will suffice for your recreational freediving. April through to October is when the water visibility is at it's best on the Gili Islands, ranging from 20 meters all the way up to 50 meters. This visibility allows us to see marine life clearly, and when freediving in 'the blue' it makes for a spectacular ambiance! Scorpion Fish, Lion Fish, Octopus, Sharks, Moray Eels, Sting Rays, Clown Fish, Sea Horse, Shrimps, Nudibranch, Star Fish, Tuna, Trevally, Barracuda, Parrot Fish, Puffer Fish, Box Fish ... And very occasionally, if you're lucky ... Whale Sharks and Manta Rays!! Many freedivers, believe it or not, are actually limited by the depth of the ocean, which can be frustrating. In the Gili Islands we generally do drift diving, which allows us to find an area where we can maintain a required depth suited for each dive. The Gili Islands have two seasons, dry season, and wet season. Luckily the wet season is fairly short and generally does not disrupt life on the island, nor in the waters. Dry season runs from April through to November, where we have beautifully sunny tropical days, with temperatures averaging 30 degrees celsius. Then gradually wet season creeps in during December through to March. Temperatures don't tend to change too much from dry season, but there is the addition of rain. But don't let that put you off ... the rains tend to come during the afternoon and evenings, this allows our freediving courses to run with little interruption.